This thread got me to thinking last week so I made the plunge. 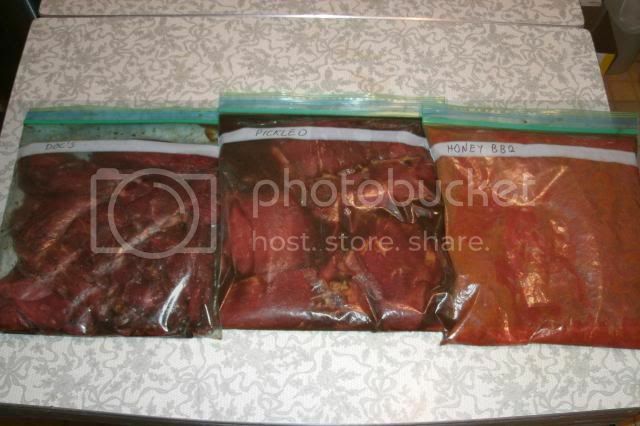 5 lbs of London broil, semi-frozen sliced into long, thin, 1-3 mm wide strips, marinated overnight. 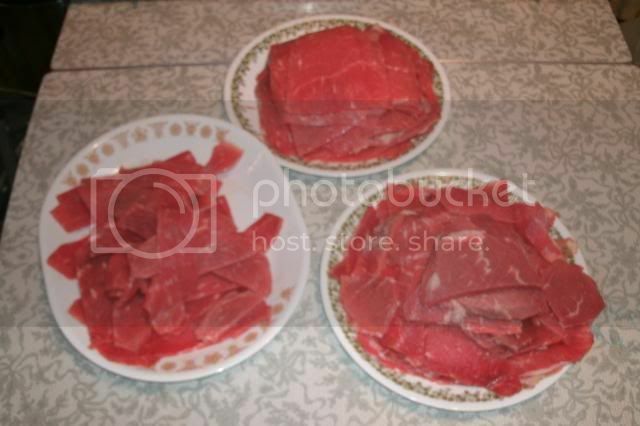 I pat-dried the meat, allowed 2 hours to air dry on cookie racks then dried it in the oven at 120-140F for 8 hours. Came out perfect. The trick was to turn the oven on for a minute of two with the door cracked open about an inch. Turn the oven off and allow the heat and vapor to vent from the oven. I think I turned it on once an hour throughout the day. I didn't want to cook it, just barely heat ever-so-slightly to help the dehydration along. No pictures, but my kids can't get enough. Next time marinate longer than 8 hours. It wasn't salty enough (for me) and I'd like more sweetness. Barely spicy, also. Thanks for the thread, Peter! Even with the power going out, they turned out real nice. I tried something a little different for venison jerky this year. I did it in both the oven with the door proped open a bit, and in the dehydrator. 1 cup soy, 1 cup whiskey, 1 table spoon A-1, 1 table spoon of Worcestershire, 2 tsp of liquid smoke, garlic powder, onion powder, pepper. The whiskey added a nice little spice without heat. Marinated in the mix for about 3 days before cooking. 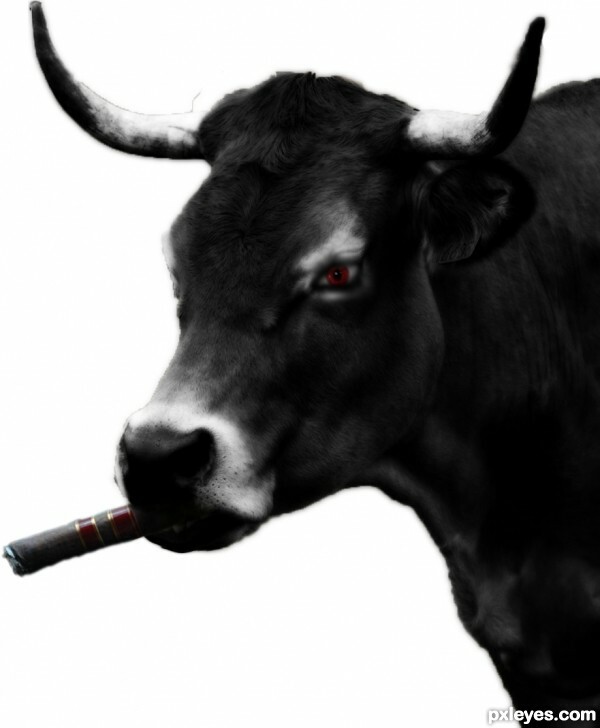 I have been told by 2 cardiologists to either give up cigars or beef and pork after they look at my labs and stress test results. Since i don't like poultry, this means i eat a lot of fish and seafood for the past two years. 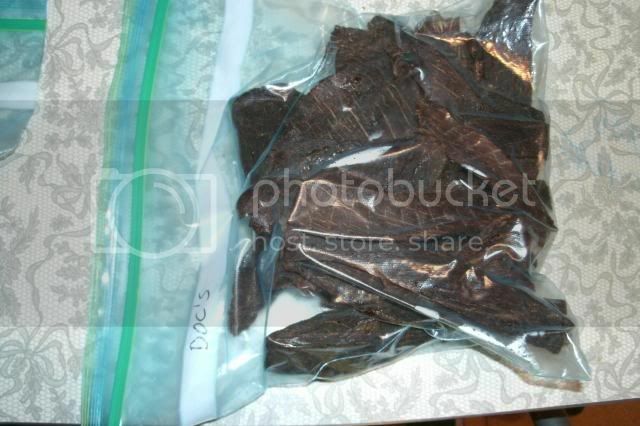 I just wondered if anyone knows a way to make fresh fish into some sort of jerky? 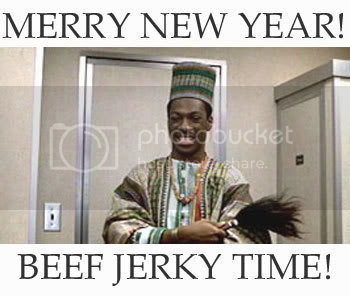 I have always in the past, relied on beef jerky at work for energy and food on busy nights. and, while i haven't fished in years, my wife really wants to start. But i would like to make it last for a while and make use of the protein at work. They said give up beef and pork OR cigars? not beef and pork AND cigars? thanks for the recipe, sounds perfect! And yep, having been a nurse in the ICU for 16 years, I know which doctors are the coolest. In fact, one of them was honored by the Buffalo Bills a few years ago for having attended the most consecutive home games. He has never missed one in the years since I met him. Also, the partner of my pulmonologist, a lung specialist, smokes cigarettes!!!! But he is not cool. But you know the nicotine has the effect of clamping down your blood vessels at the same time it shoots stored fat into them. so, restrict saturated fats to reduce the chance that one of my cigars will pop loose a piece of plaque and give me a heart attack. Eat lots of mono-unsaturated fats to try and reduce the fat already there. So, these guys are cool with responsible adults "picking your own poison" so to speak. They just encourage me not to pick them all. Being old and out of shape, plus working nights, I do need to cut back somewhere. 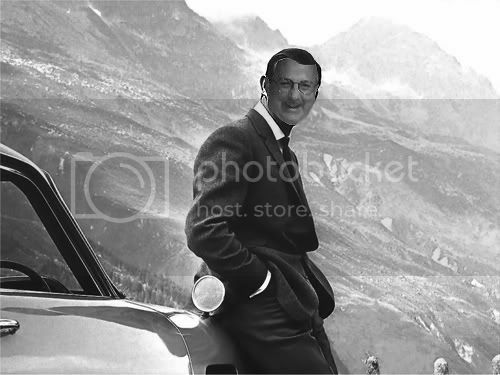 above all: You do have to enjoy life. And a cigar with the right libation makes it very enjoyable. Try the high country rub for fish I have used it a few times on trout and has worked well. I have used it on salmon that I have gotten over the years. I think cabelas packs it. 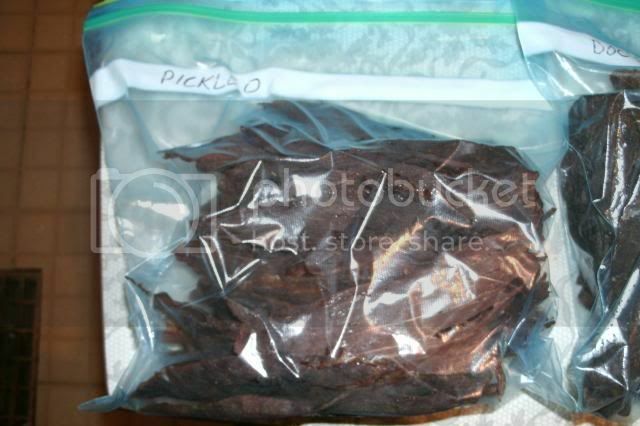 Also have the pickled jerky recipe in the dehydrator right now it will be done in the morning can not wait to try it.